The pre-amplifier refer to famous Japan Wada Shigeho's Style improved Electric circuit , and adjust the External component parameters according to different bile ducts so that give full play to the advantage of bile duct, cause the machine perform well . The Electric circuit was introduced by professor Shigeho Wada in the early 1960s, having excellent performance. It's sufficient to keep pace with Marantz7. 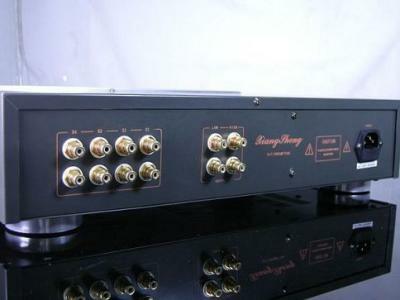 The 728A pre-amplifier have Bass and Treble Controls and Volume, Balance adjustment on it .